Wed., May 2, 2018, 7:56 a.m.
A GRIP ON SPORTS • One would have to assume most Mariner fans are pleased with their start to the season. After all, the team with the longest playoff drought in North American sports is six game above the break-even mark and, if the season were to end today, would be inside the postseason cut line. Read on. • Of course, if the season were to end today, then there probably wouldn’t be any playoffs, due to whatever catastrophe forced the season to finish this early. But that’s nitpicking. And we never do that. Well, except just about every day. And our current worry with the M’s is somewhat of a nit. Their bullpen has been so good and the starters so average, the relievers are being used just about every day. That’s fine in April and early May, but there could be ramifications later in the season as the arms tire prematurely. Besides, one way to rest the key arms in the pen is to be way behind in the late innings. That's not a lot of fun, and hasn't happened all that often this season. So let August and September worry about itself. Let’s celebrate the here and now. • If I could ever figure out how to do one of those for-entertainment-purposes-only Twitter polls, I would ask a simple question. 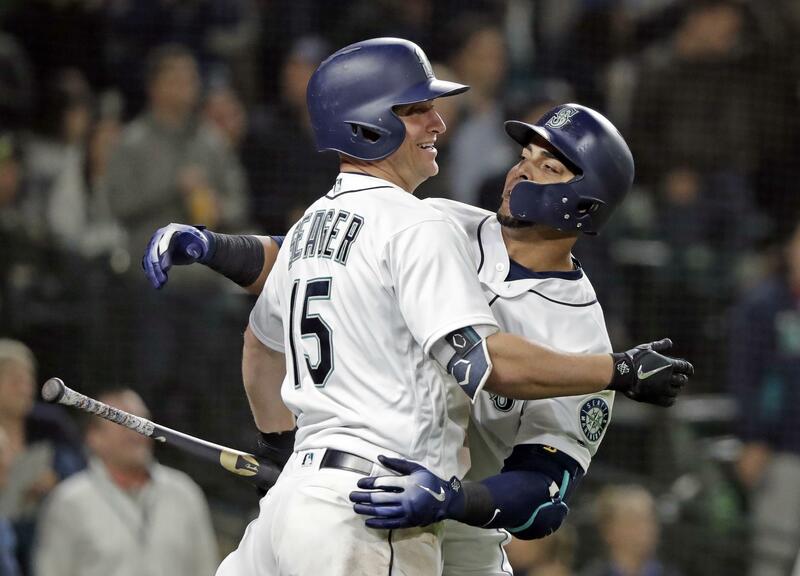 When will Nelson Cruz pass Mitch Haniger for the team lead in home runs? In the next two weeks? By the end of May? Not until the all-star break? That’s assuming, of course, the semi-ancient designated hitter stays healthy. But when you run as slowly as Cruz is these days – is it a form of Cruz control? Thanks, I’ll be here all week, don’t forget to try to chicken parm – there is little chance he will pull a hammy or something. If you need to know, Haniger leads the M’s with 10 dingers (and 27 runs batted in). Cruz, who has played nine games less due to injury, has six, including the big three-run home run last night. 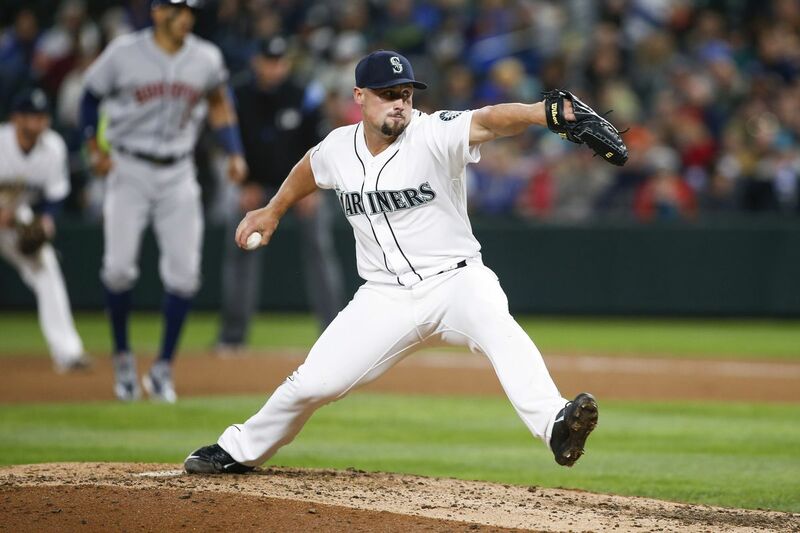 • Speaking of injuries, the bullpen is down one power arm, as Dan Altavilla (or Mr. High Village to those of you who ran his name through a translation app) was sent to the disabled list yesterday. So was Erasmo Ramirez, who was put on the 10-day DL but is expected to miss about a month with a Tersa Major strain. That’s a muscle in the shoulder area that is known as the lat’s little helper (not to be confused to Mick Jagger singing about mother’s little helper, which gets you a lot longer trip off the roster). • You want to attend opening day next season? It’s going to cost you. The Mariners are going to open the season in Japan, facing the A’s, who will serve as the home team. The games are scheduled for March 20-21 in the Toyko Dome. If you have a better memory than I do, then you might recall the same two teams opened the 2012 season in Japan. It was a good year for the A’s, who went on to win the American League West. The M’s? The won 75 games and finished last. WSU: The athletic department’s budget deficit will be addressed by the Board of Regents later this week. How will the university deal with it? No one knows for sure right now, but we do know it will be dealt with. Shawn Vestal has some thoughts in this column. … Around the Pac-12, the spring meetings will be held in Scottsdale this week. … Athlon ranked the conference's quarterbacks for next season. WSU is not 12th. … With spring football over everywhere, it’s not a bad time to see what was accomplished at USC and UCLA and around the conference. … In basketball, Oregon State is adding a guard who, at one point, was headed to San Diego State. … Finally, Mark Emmert testified via video at the Todd McNair trial. Gonzaga: This is a big week for GU’s recruiting. How do I know? Larry Weir addressed it in his Press Box pod yesterday. … BYU has added a high-profile, non-conference basketball opponent to its schedule. Well, at least high profile on the West Coast. EWU: With spring football finished, the post-mortems begin. Jim Allen talked with Eastern coach Aaron Best recently and their conversation covered a lot of ground. CCS: The decathlon is a tough event. And finishing second in a conference championship is a tough accomplishment. Chiefs: A longtime executive signed a contract extension. Preps: It was a busy Tuesday in the area, undeterred by the rain showers that pelted the area off and on. We can pass along roundups in soccer, baseball, district baseball, tennis, softball and track. … Jim Allen has a preview of the District 8 soccer playoffs, which begin tonight. … Jim Meehan looks at the GSL golf race as Gonzaga Prep’s boys and Lewis and Clark’s girls near titles. … Slowpitch will have a complete state tournament next fall. 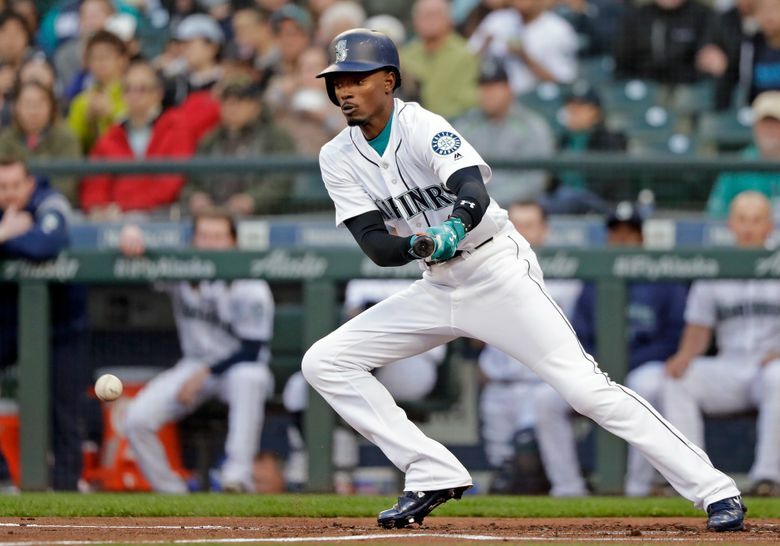 Mariners: Dee Gordon had a night. Five hits, two stolen bases and one dirty-as-a-mud-puddle uniform. He leads the M’s with a .339 average. … Whomever determined back in the day that six innings and three earned runs was “a quality start” was a genius. If he or she was a player’s agent. A 4.50 earned run average doesn’t reek of quality to me, but that’s just old-fashioned I guess. Anyway, Felix had a quality start last night. By that measure. And the M’s won, 6-3 over Oakland. Seahawks: The Byron Maxwell signing is official. That assures a Super Bowl berth. I kid. … The Hawks didn’t go all in on offensive linemen in the draft. … At least one draft pick will be switching positions. Published: May 2, 2018, 7:56 a.m.